In celebration of Earth Day, Clarien Bank is donating three hundred native and endemic Bermuda Cedar, Palmetto, Olive Wood and Bay Grape saplings to clients and residents on Friday, April 22. The community sapling event was held on Tuesday and Wednesday, April 20 and 21 by plantings of saplings at Elliot Primary and Victor Scott Primary to help make their campuses green again. 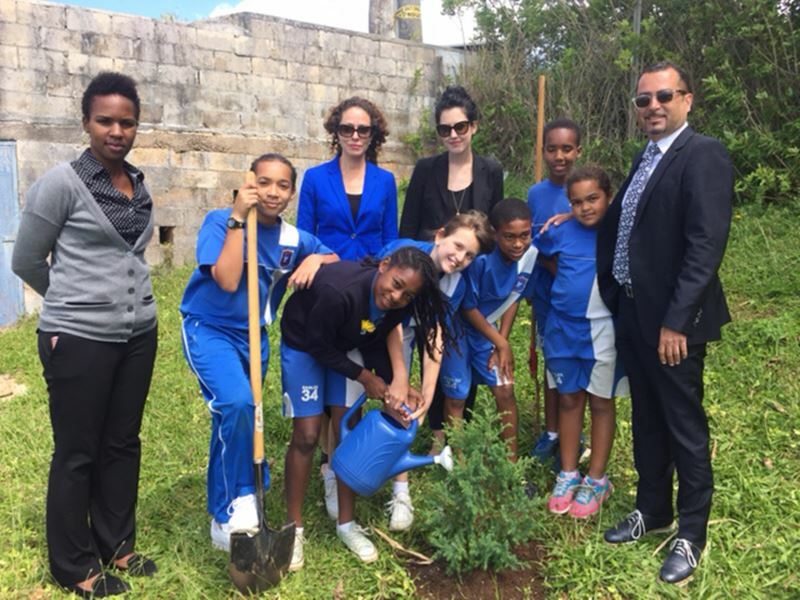 The Earth Day sapling donations continue the Bank’s Reforestation efforts which began with a sapling giveaway to clients and residents in October 2014 following the impact of Hurricane Gonzalo and Hurricane Fay. 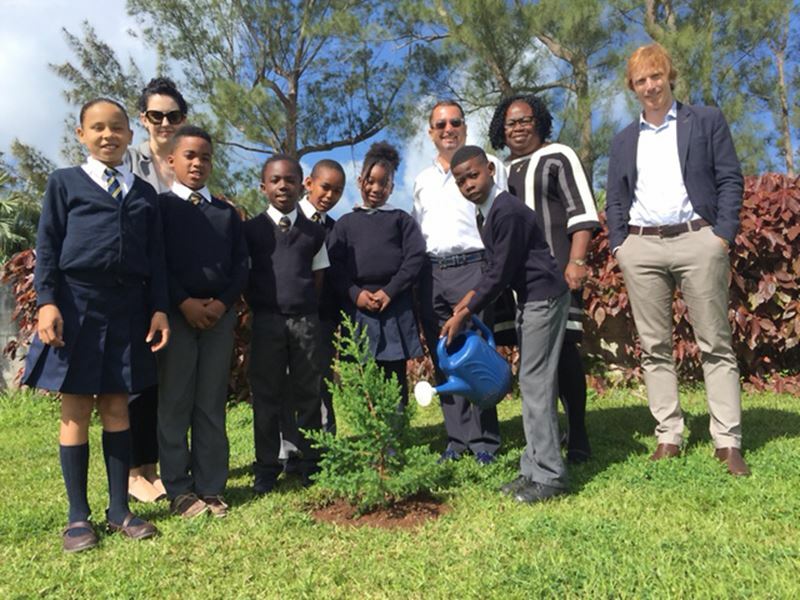 Since then, Clarien’s reforestation efforts have continued with donations of saplings to WindReach Bermuda, Somerset Primary, Gilbert Institute and Somerset Primary. Michael DeCouto, CMO Clarien Bank, commented, “Clarien’s Reforestation project began with the idea that we can all work together collectively to help replenish our beautiful, lush island home. The saplings will be offered on a first come, first served basis from 11am to 2pm, while supplies last. Full advice will be provided to customers and residents wishing to take part in this project on how to safely plant and care for the trees and plants. For further information regarding the Reforestation project, please visit: clarienbank.com. well done! I’ll be round tomorrow!